This mod will turn the Kerbol system into the (Real) Solar System. It is highly recommended to play using the Realism Overhaul suite. Also, check out the RSS Wiki, especially the FAQ!. 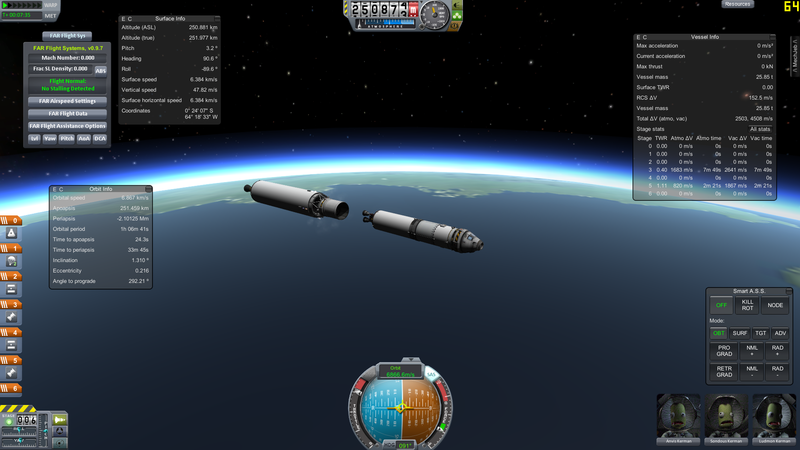 RSS DOES NOT INCLUDE LAUNCH SITE SWITCHING ITSELF. 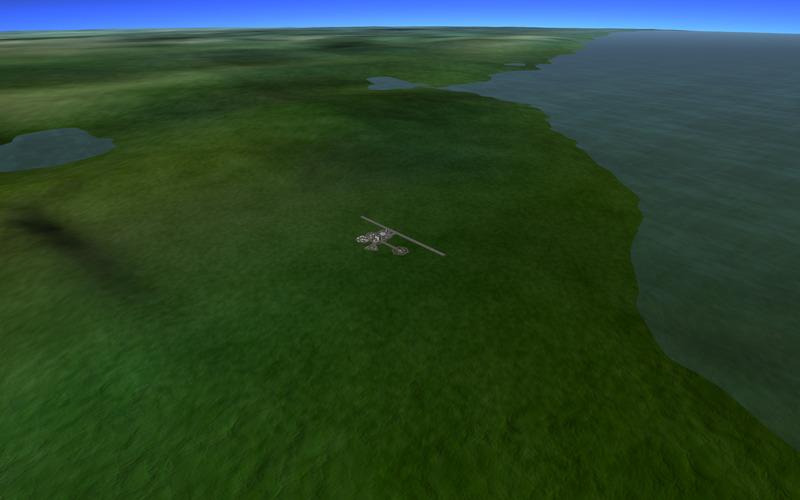 Launch site switching (KSCSwitcher) is a mod by regex which prior to v10 was included in RSS's dll. Flyby finder for RSS by PLAD -- check it out, it's great! Note that they are all independent mods and do not depend on RSS. 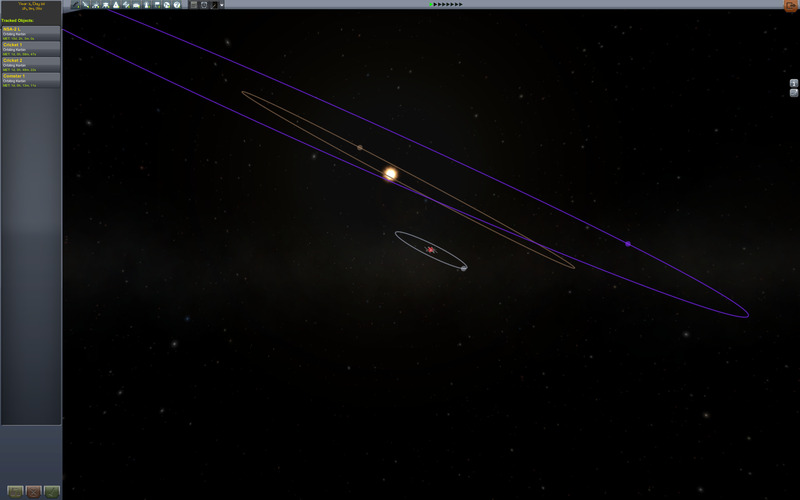 This mod will convert the Kerbol System into the (Real) Solar System. Supreme thanks to all who helped make RSS possible! regex for code, and dimonnomid and SpacedInvader for incredible art for RSS, and pingopete for his work on RSS - EVE interoperability and atmosphere work for RSS, and KillAshley for making RSS so much better (and prettier!). RSS would not look or perform the way it does (or have gotten released!) without their amazing contributions. 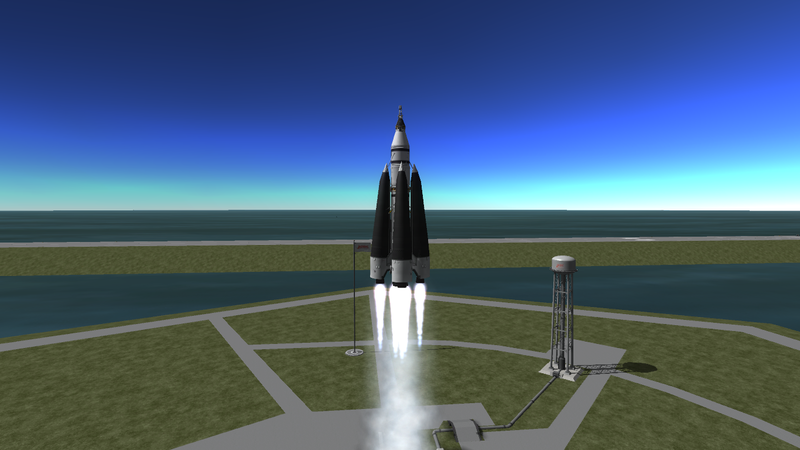 Thanks to stratochief and grayduster and Thomas P. for wonderful help in converting to Kopernicus and adding the new bodies--with their help RSS has entered a new era! Includes code by Majiir (CompatibilityChecker, licensed as per source). Includes artwork by dimonnomid and SpacedInvader and Dr. Walther and KillAshley in addition to NathanKell. Includes biomes by Felger and grayduster and KellanHiggins and KillAshley. Some planetary imagery is derived from work by Steve Albers and NASA / Jet Propulsion Laboratory, and some from the Celestia Motherlode (itself in the main sourced from JPL). Used by permission of the licenses for non-commercial release. Module Manager (by sarbian, swamp_ig, and ialdabaoth). See thread for details, license, and source. Kopernicus (by teknoman, bryce, Thomas P., and NathanKell). See thread for details, license, and source. 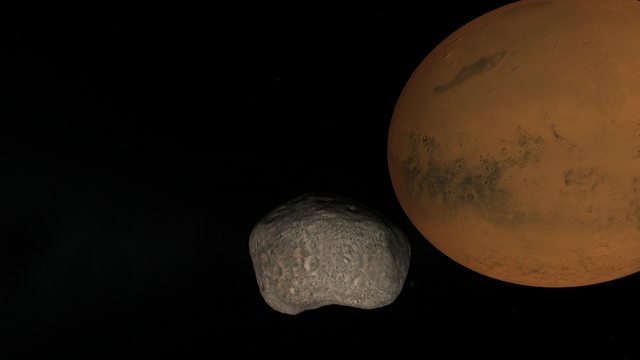 A configuration for Custom Asteriods by Starstrider42. 2. 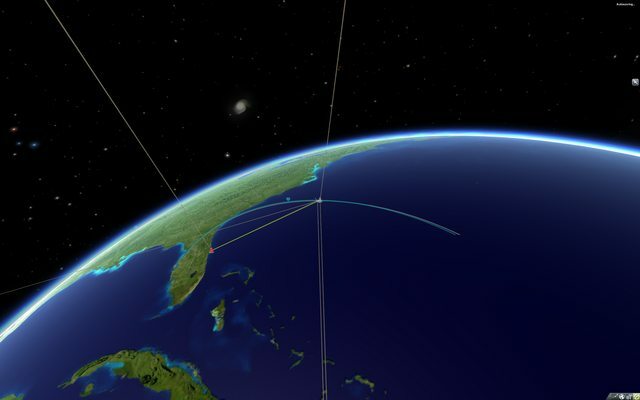 Extract zip to KSP/GameData. You should have one dll (Module Manager) in the root of GameData, and two folders: Kopernicus and RealSolarSystem. However, you are NOT DONE YET. You need to install textures! Now, you must select a texture resolution. Download a premade pack (8192, 4096, or 2048) and then, if desired, selectively replace with different-resolution texutres. 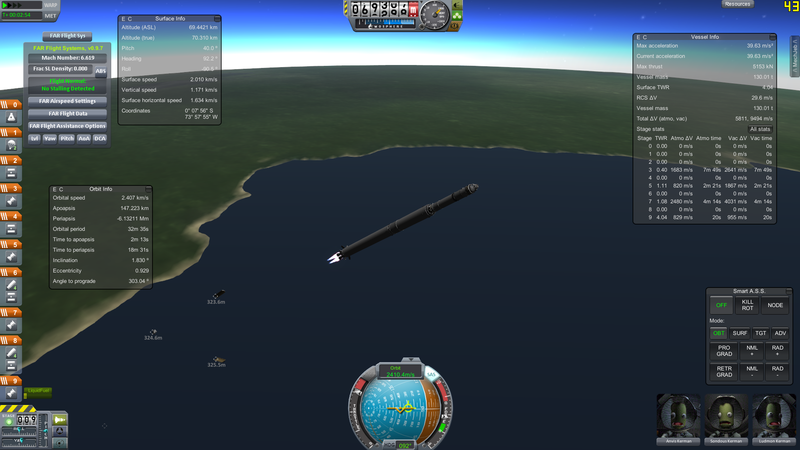 Note that 8192 is dangerous: it will not work at all on some Macs and you may easily run out of memory in a 32bit KSP environment. Now that all clients support 64bit, if you have a 64bit system it's worth trying. You can get the textures from: the texture repository. Grab one of the resolution packs, then (optionally) get replacements from the repo itself). NOTE: the path is NOT the same as the old (RSS v8 and below) path, and the textures are different. Clean out your old textures and install fresh. FINAL NOTE: You really should play with the recommended mods. See the Realism Overhaul thread for details. If you like my work, and want to send something my way, I'm now accepting donations. If you have an issue with the mod (crash, planets aren't rescaled, etc.) please follow the steps in this post. If you do not, I will ask you to do so before providing support. Gaemplay questions, however, are obviously not affected; this is for "your mod broked!!!". Whoo! Finally, a release stable enough for the main thread! Also, is this the developer thread? Or do I post suggestions into the other? you get big hug nao. 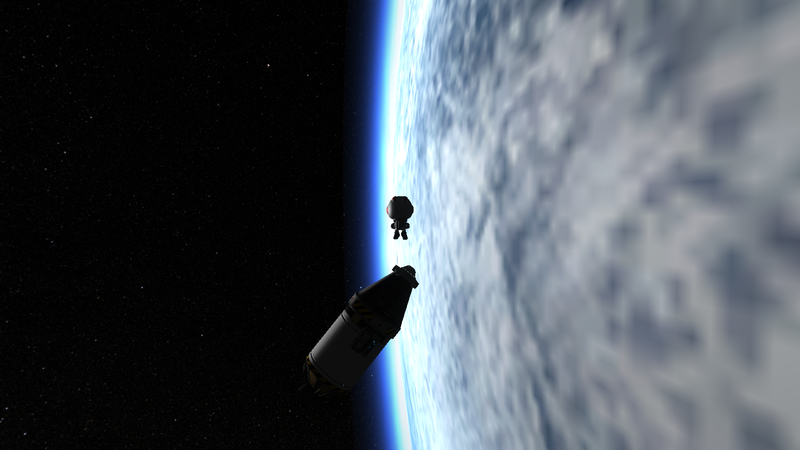 I really like the direction KSP mods are heading in right now. Taking this, with FAR, DRE, TAC LS, RT, MFS RF, hopefully soon to come proper tech tree to actually make a challenging career mode out of this.. This is going to steal so many hours of sleep. This. After fiddling with mods that make things more difficult, this is the logical next step. This too. I will have your collective babies. I just can't get over how massive the planet looks now. Really a lot like the pictures of the Real ThangÃ¢â€žÂ¢. 1. For now, I'm proposing taking discussion of this particular mod to this thread (dedicated to it) and leaving the Realism Overhaul thread for bigger-picture stuff. So post here. 2. Babies are nice, but what would be really helpful is if you post some pretty screenshots to replace the dev shots I have in the first post. You are encouraged to use Universe Replacer and/or the City Lights and Clouds mod (although this mod breaks the latter in map view...). 4. Tell me how spaceplanes work! 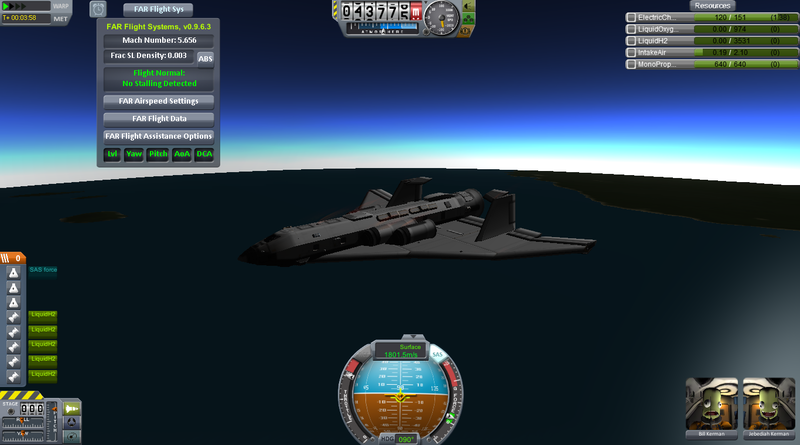 You'll probably need to use LH2/LOX, since you'll need a really impressive engine to get a kerolox spaceplane into orbit. Bug: Ship shakes it's self apart. I have FAR, Your mod, and DR.
Is there anything special that needs to be done with the city lights and clouds mod so it looks properly or does it work on its own excluding the map view bug? Minimus is in between kerbin and the moon. I really believe this needs to be removed. Put minimus farther out than the moon. Otherwise people can use it for gravity assists to get to the moon and it also can interfere with moon shots. 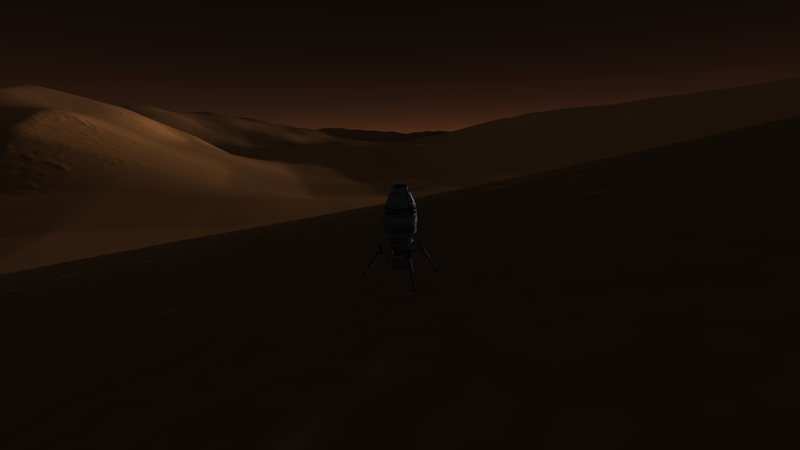 Another option is to put minimus around duna which would be more realistic to make it like mars' moons. It looks like the manual orbit changes you've done don't automatically cause the orbital period to update. This means that the Mun's orbital period is still a little over a day rather than the ~27 days it should be; this is quite noticeable when on a transfer orbit, where the Mun completes multiple orbits when it should not. 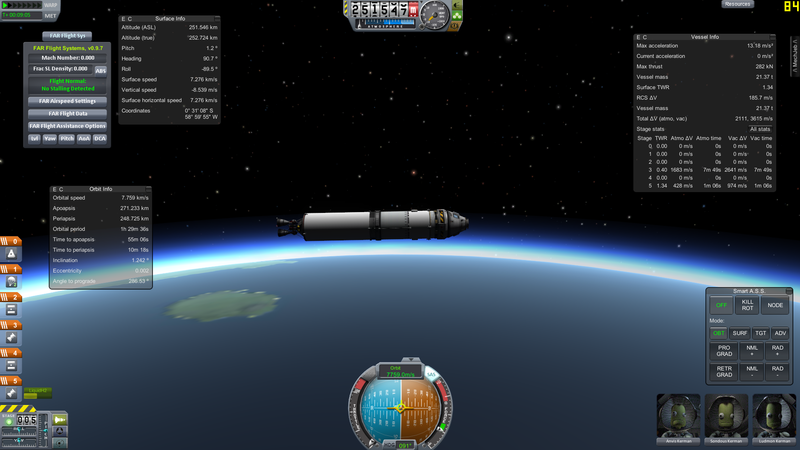 The reported orbital velocity numbers are wrong, it's moving much faster. 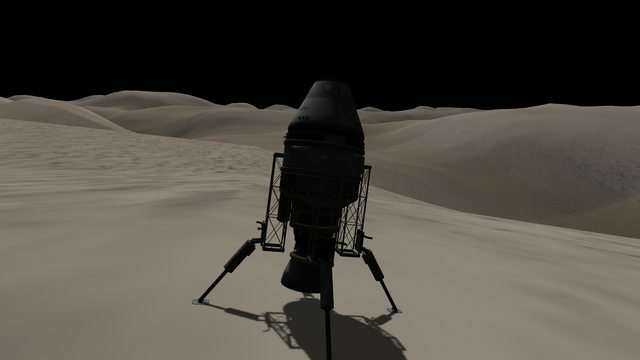 Did you move the position of the Mun with HyperEdit? It should be roughly 384,000km away. Mine isn't nearly that fast with that orbit. 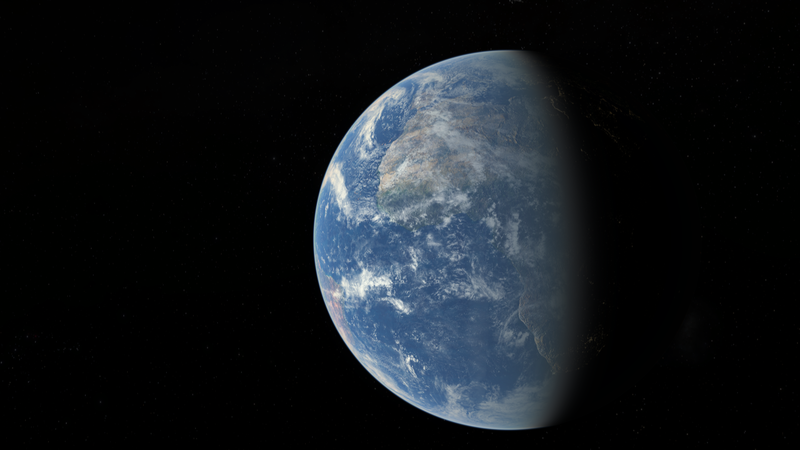 Exposure: If you use the cloud mod, set radius 1 to 1.00038 and radius 2 to 1.00076.
ferram, I _do_ set Mun period. It must get overridden. I'll debug it. @Razorcane: Ummm... no. I don't have HyperEdit installed. 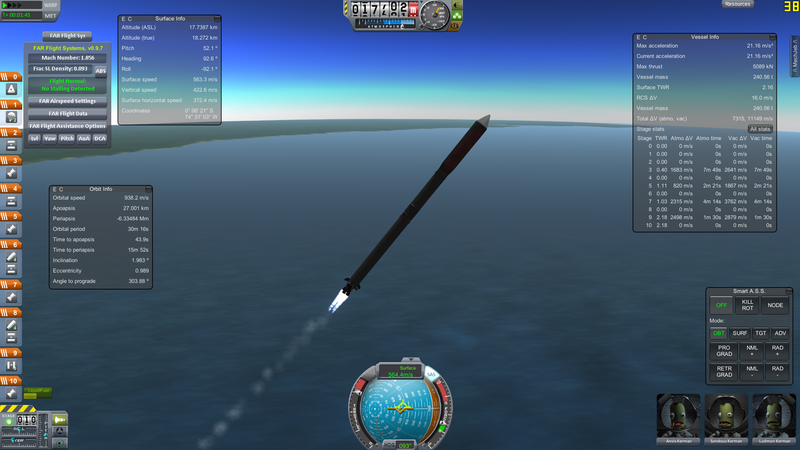 This is a bug report for this plugin that moves the Mun to the appropriate orbit but doesn't update the period. @NathanKell: Nothing updates orbit.period in the current source... the rotation period is set to equal orbit.period if the body is tidally locked, but unless the current source on github / what's included in the zip isn't up-to-date then there's nothing that modifies the orbital period. *Parts are wobbly. I think it's float precision errors. Use heavy struts from KW pack and there will be no wobble. 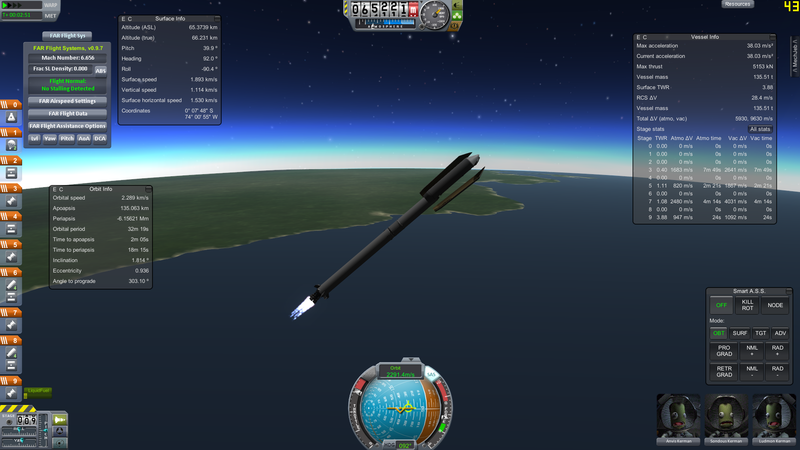 I've managed to build a rocket that can place 25 t into 250 km circ orbit and still got enough dV to deorbit itself (and some extra just in case). ferram: oh, bloody #&%*( you're right. Got confused with rotPeriod, which I knew I just fixed. Sorry. Fix ASAP. Fixed......same file. I'll update OP. 21.37 t at 248x271 km orbit, 974 m/s dV in final stage for orbit corrections and it's deorbit after payload separation. GLOW (gross liftoff weight) 404.55 t, ~5.3% payload fraction "as delivered". 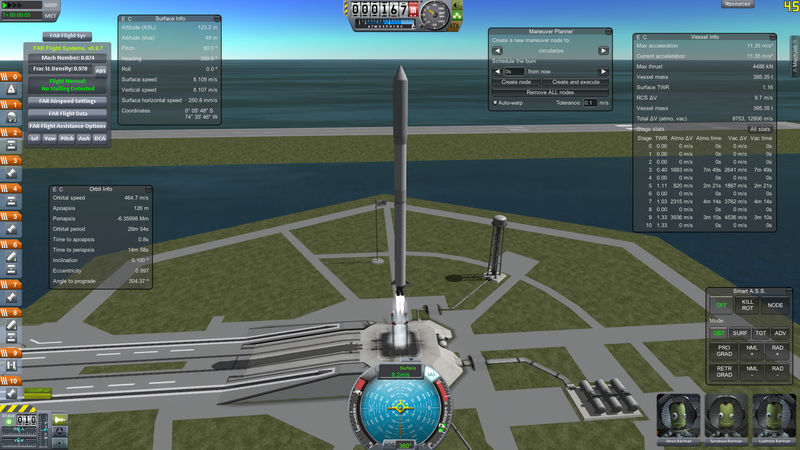 First stage is KeroLOx, second and third are HydroLOx, payload got over 2.6km/s dV via hypergolic fuel. Only made it to 0 7' 42'' N 70 36' 24'' W.
The ocean makes stuff jump weirdly, and when I zoomed back a bit I noticed I was actually a bit under the actual ocean. 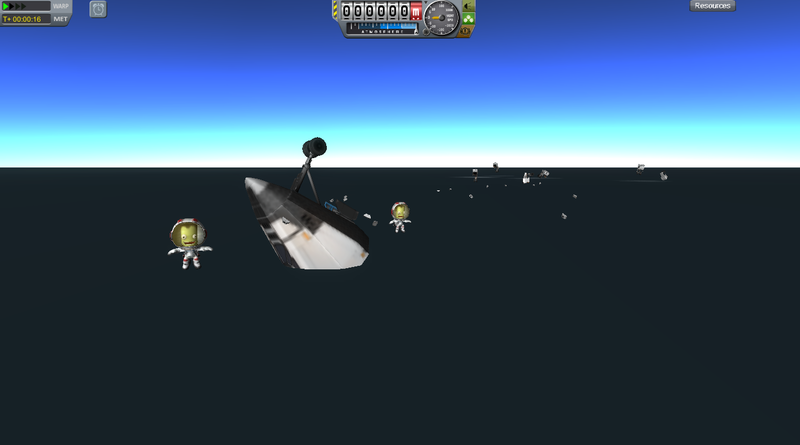 EDIT: I left Jeb and Bill there and went to the Space Center, and now they are reported as missing in action. They drowned maybe? For DREC, make sure you set heatMultiplier to 10 or so (but try different values and tell me how they work! ); you'll burn up at the stock 25. 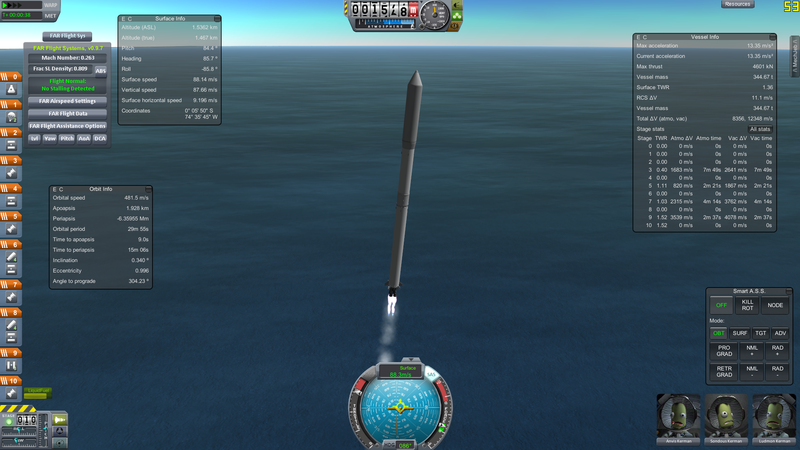 I survived in the mk1 with the stock 25, coming from the mun, had to try like 3 times though... 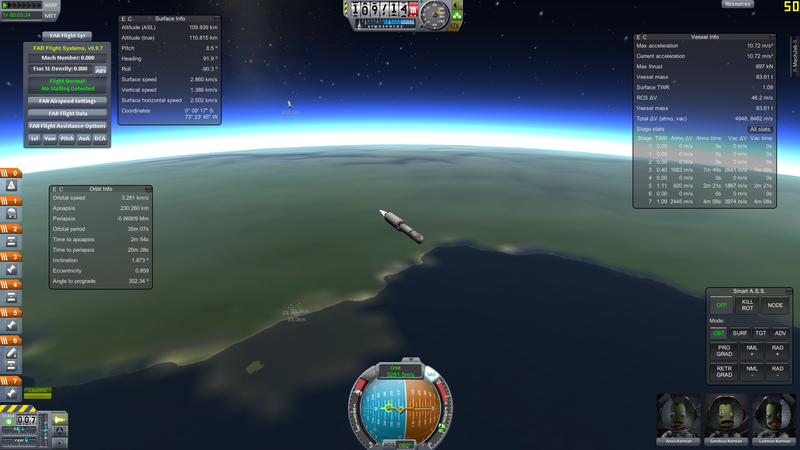 I managed to survive with a 60 km Periapsis, will switch to 10 for safety I guess! It should be hard, but not impossible, so that does not sound too far off actually. I never thought I would like a mod like this. But it's great! It's like being back in the early versions where getting into orbit was really hard. getting into orbit has never been quite so satisfying. That is a good question actually. 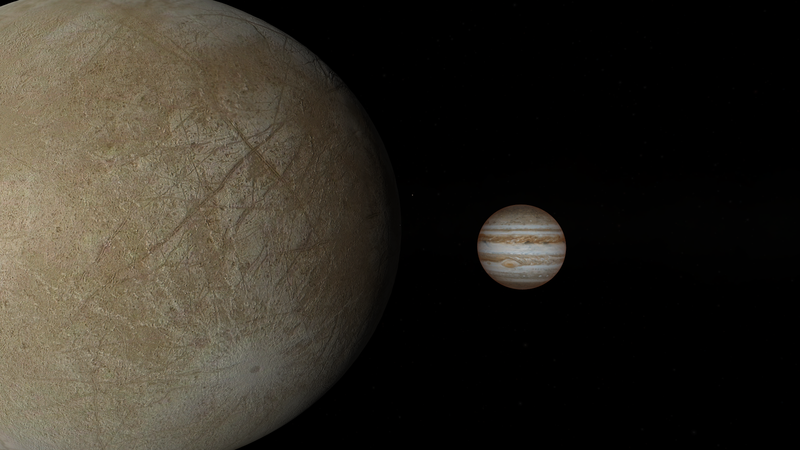 Are the planets scaled to a 1m tall Kerbal scale? 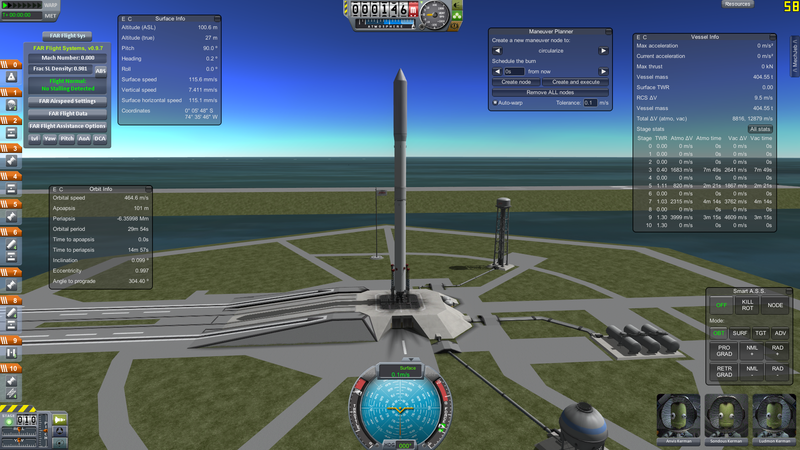 What I also like about this mod is that part packs like NovaPunch actually feel like they belong in KSP (or RSP now maybe). Before they felt a bit pointless and out of place, now you will actually need them. I would almost say it is about time for some realistic astronauts.